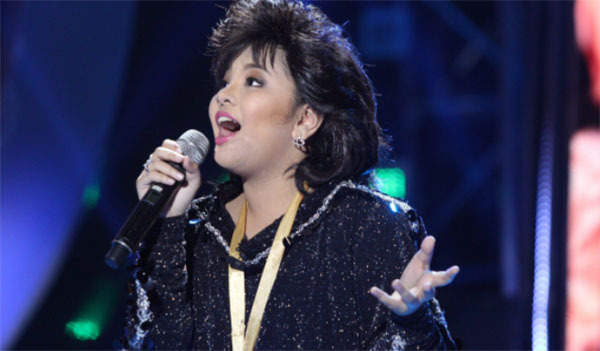 Elha Nympha sings ‘Bituing Walang Ningning’ as Sharon Cuneta on Your Face Sounds Familiar Kids Week 2 episode on Sunday, January 15, 2017. “I appreciate the effort you made to sing my song,” said Sharon Cuneta. “You flew to a new height. This is a game changer for tonight at least. Fierce, finesses, fly and flawless performance,” said Gary Valenciano.